Updated February, 2019 - The exchange rate is 19.17 to the dollar. Check today's currency with this converter. The movement of the Mexican peso to the dollar depends on a number of factors. When the exchange rate reached over 20 pesos to the dollar a few years ago, it's biggest plunge, pundits determined it due to a global economic downturn causing less demand for emerging markets assets, like oil. After that, the causes are fairly indecipherable to economic laymen, or at least they are to blonds from rural Oklahoma. Looking online, I found a great deal of highly technical information about the devaluation from 30,000 feet, but nothing at the economically granular level of my grocery shopping in Mexico. “Shouldn’t I be doing something?’ I wondered when the dollar was running so high. For example, would it make more sense to buy a new car in Mexico when the exchange rate is so favorable? Would a car really cost almost a third less that in the U.S.? Someone else floated the idea that I should move the income needed for my next six months living expenses to a Mexican bank account to lock in the exchange rate. In what other ways would you feel the impact of the devaluation if you lived here? I pay my rent in dollars because my landlords are always living in the U.S. most the time. I do pay my electric bill, which runs about 1,100 pesos a month in the summer, went from $92 U.S out of my American bank account to $65. My grocery bill last summer, including copious amounts of wine was about 2,200 pesos ($183 U.S) every two weeks. When the dollar was at its strongest, the two-week grocery bill calculated to $131 (U.S). If I went to the best restaurant in town, my 260 peso (once $21 US.) meal came in at $15 U.S. You can see it can make a difference. Your financial strategy as a expat should go beyond just taking advantage of the exchange rate to that of spending money like a Mexican. To do that, you need to know the Mexican value of things no matter what the exchange rate is. You need to know what a Mexican would pay, whether it's for a bottle of wine or a house. Not knowing the Mexican value of houses is why expats often find them so hard to sell if they have to move back to the U.S. or Canada unexpectedly. The cost seems like such a good deal when compared to American housing prices. Many don't think about how that cost might look to a Mexican buyer. They compound the mistake by only comparing notes with other expats about what a good price would be, without consulting a Mexican. Mexicans buy homes too. They pay cash so asking price means more. Spending like a Mexican is easy in grocery stores, restaurants and shopping malls, anywhere with prices fixed in pesos. Other times, you need to know a little about haggling (I know all about it. I just can't do it.). One of the most refreshing things about shopping in Mexico is that the price of the item in a store is exactly as it's posted. If you buy a shirt and the price tag says 300 pesos, at the register you will be asked for 300 pesos. In the U.S. the price tag sometimes feels like the beginning of the transaction. Who knows how many taxes will be tacked on? Who hasn't experienced the reasonably - sounding $50 haircut that's ended up as a $85 charge on your credit card by the time you factored in taxes and tip? Ouch! Regardless of the favorable exchange rate, you always have to be on guard for situations where you might be charged differently than the locals. Don’t assume by the price that you’re getting the best deal just because of a favorable exchange rate. But let’s say you have more spine than me and want to rent a catamaran. The quote might seem cheap but could be 30% more than it would be for the Mexicans behind you. Tour operators frequently charge tourists more than locals. If you find that annoying, you may need an intervention. Happily, this is where friends come in, preferably Mexican friends. Regardless of your level of Spanish, if you have a good attitude and a generous spirit, you will make Mexican friends if you live in Mexico. Even with my often ridiculous and overly ambitious Spanish skills, I have a few friends whom I frequently ask what they pay for things. When I first moved here, relative strangers would stop me from paying what they thought was too much for something if I gave them my best puppy-dog expression and asked them at the point-of-sale. I've asked Mexicans standing right next to me in department stores, "Es un buen precio?" I almost always get sincere, sympathetic counsel. A very Mexican phrase that I just learned is “al pendiente,” which means someone is aware, alert. You need to be just as aware and alert when the dollar is high as when it is not when you are making purchases in Mexico. Next up: How many Juans does it take to screw in a light bulb? - Just Juan! With a little imagination, a sense of humor can carry you through your first year in the language. Most Recent: Maintenance for coastal properties important to maintaining your investment and peace of mind. 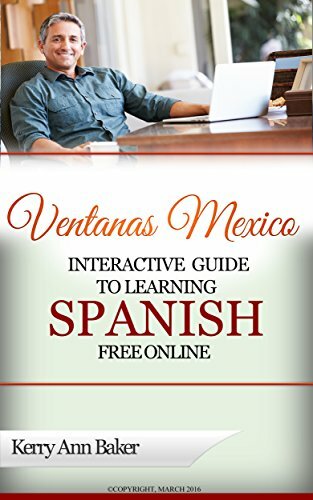 She is author of the "Interactive Guide to Learning Spanish Free Online," a curation of the best Spanish language tools on the web. Don't be one of those expats who doesn't speak any Spanish! Get started today with the Guide. 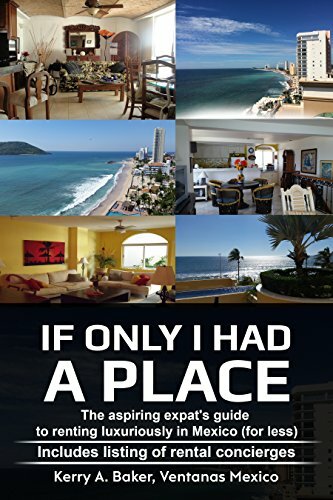 "If Only I Had a Place," a guide to renting luxuriously for less in Mexico. Includes a listing of rental concierges.